Those candidaes who successfully cleared UPSC Mains written exam will have to appear for UPSC Interview, also known as Personality Test. Unlike the Prelims (objective) and Mains (written exam), which is conducted at different centers across India, Personality Test is conducted only at the UPSC office in New Delhi (Dholpur House). As this will be a crucial day in the life of most candidates, we advice to carefully verify the documents before-hand to avoid last minute panic. Ensure that you have all necessary documents ready. We have bullet pointed the documents needed for UPSC interview taking notes from the different PDFs in the official UPSC website (www.upsc.gov.in), as well as the previous year interview candidates. 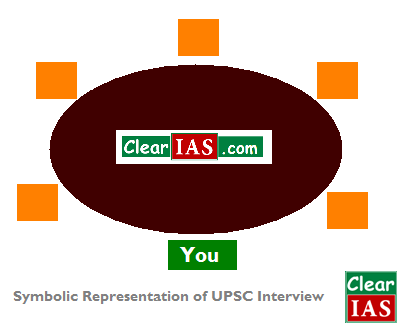 We advise all candidates to please re-check the same with official UPSC website each year. Candidates are advised to bring the following documents for Civil Services Exam Interview to UPSC Dholpur House. Matriculation or equivalent certificate in original to verify the Name and Date of Birth. Self-attested photo-copy of Matriculation or equivalent certificate in original to verify the Name and Date of Birth. Degree certificate in original to prove education qualification (If original degree certificates are not issued, carry provisional certificates and/or mark-sheets). Self-attested photo-copy of Degree certificate in original to prove education qualification (If original degree certificates are not issued, carry provisional certificates and/or mark-sheets). Self-attested photo-copy of Degree in original. 2 passport size photographs that are taken recently. Self-attest one of them. Caste/Tribe Certificate in original plus copy. Physical Disabilities Certificate in original plus copy. Also DWE certificate for PH-1(LDCP). Certificates in support of age relaxation for corresponding categories. PG degree/higher education certificates and mark-sheets. TA form – two copies plus proof of journey (for outstation candidates). Affidavit (in case of minor name discrepancies). Prescriptions or medical certificates if any (may turn helpful for eye check-up). NB: After the medical exam, get the relieving letter from the concerned authorities. A copy of the attestation form duly filled plus six copies of the same, each signed in. Don’t forget to affix a signed passport size copy of a recent photograph on the same. The below information is based on the experiences of past year interview candidates. Medical checkup normally happens on the next-working-day after the interview. But if your interview date is on Friday, the medical check-up may happen only on Monday (the next working day). Please be prepared for the stay. You cannot wear a watch inside UPSC interview hall. Better to keep mobile phones outside the UPSC premises. You will normally get newspapers inside UPSC hall. The office staff will verify your original documents and give it back on the same day itself, often before your interview starts. You don’t need to come up with certificates of extra-curricular achievements to UPSC hall. For last few years, candidates are allowed to enter UPSC interview room only free-hand. There are ample facilities for toilets and drinking water inside UPSC premises and there is no need to worry about those issues. Experienced candidates who had attented UPSC interview are requested to bring in more insights if we missed any. Freshers who got calls for UPSC interview for the first time may ask the queries or concerns regarding UPSC interview in the comment section below. 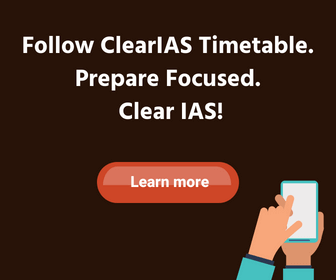 Clear IAS Team wish all readers of www.clearias.com and users of Clear IAS app who attend UPSC interview this year all the very best. Keep calm and confident. Clear IAS! Sir I am commerce graduate. But can I take geography for upsc mains exam..and is it possible for me that I can prepare geography vast syllabus till mains…some one told me that don’t go for geography due to vast and tough competition from Delhi and other university students. They advise for history. So can u pls help me out between these subjects. sir i am graduate in B.A. in open univercity. can i give competative exams? But ensure that the university from which you have achieved the qualifications has a valid affiliation during your course period. how check medical examination ? my question is regarding the medical examination after the interview. Does tooth extraction makes a candidate likely to be regected? Please answer. sir if a boy is married , then is it required to give his marital status in the document verification process of UPSC exam ? Your interview is on 18th May? What is one sitting degree can u explain..? do migration certificate is necessary for the civils and forest service at the time of upsc interview ? Does a person who wrote his/her exam in general category, needs to carry their community certificate? sir my fathers sirname is written in 10 th marksheet but not in the 12 th and degree…..does it matter in document verification…..
Sir mains Clear hone k baad.. Marks kab Pata chalta hai… Before interview or after interview.. And ranking bhi. What if i changed my surname after 12th and my 12th and graduation certificate has different surnames ? Will gazzette notification be okay ??? Or is it a serious trouble ? Is interview going on for cse 2016? When it is going to over??? I m a muslim girl & recently married with hindu brahmin boy i have a state govt marriage certificate along with joint photo is it valid to appear upsc examination. Sir is there any solution for a problem related to father’s name in the certificates… as my all certificates carry his sirname but my father has never used his sirname anywhere in his certificates. I have done internship in 8th sem of b.tech so my 8th sem marksheet contains only internship marks in it not subjects marks of 8th sem, So is there going to be any problem in final interview of UPSC CSE and other government exams ? Sir, I would really appreciate if you could reply asap. I’m in FY graduation and ended up getting a small tattoo in a not so visible place. I’ll be giving the UPSC examination in a couple of years and wanted to ask if a tattoos are banned for the IAS /IFS posts. I’ve tried searching but I got useless information from irrelevant sources, thanks. 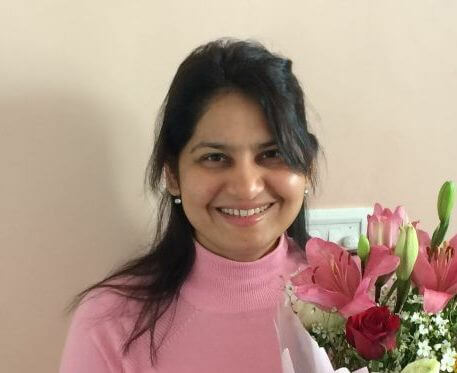 I am a UPSC aspiring female candidate. I belong to OBC Caste and I am also a non creamy layer candidate. I have both certificate obtained from my respective state government of Maharashtra. Is there a need for separate central government caste certificate and non creamy certificate for OBC??. Sir pl. Reply asap. Look I’m having same spelling for my fathers name on every report card. It’s like my fathers name is Mehraj, but on my documents it’s Mearaj. Do you think it can be an issue. But this is same on my Marticulation, n all other documents. Kindly get back to me on this. What are the documents of the student verified by upsc? I’ve heard people saying that they verify in deep, they sometimes verify the originality of the certificate with college, they do look even at our activities Social media, they do verify our aadhar regarding our updation n all… To what extent these are true?